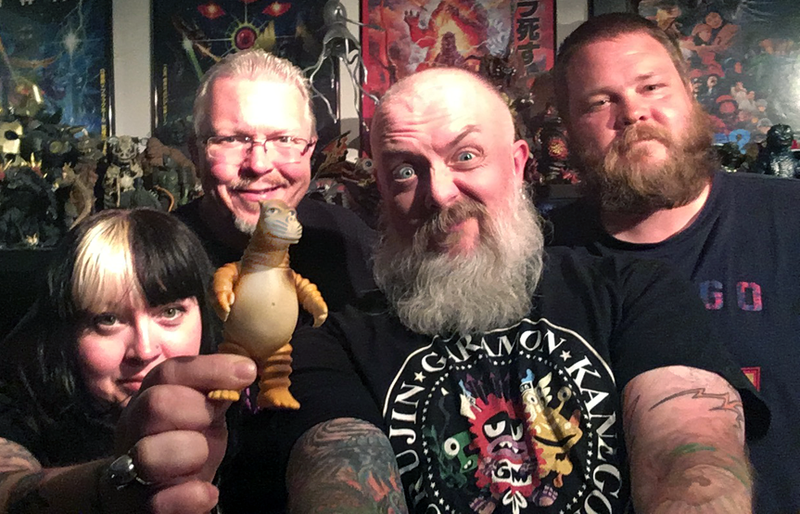 Gretchen, Dave, Kyle & Clancy subject themselves to one of the kiddiest kaiju flicks ever made, Daigoro vs Goliath (1972)! Where to begin for 1972’s Daigoro vs Goliath? This is absolutely, without a doubt, a film created for little kids. As such, things can get pretty nonsensical at times. 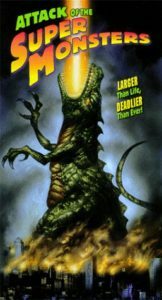 Some people have called this the strangest kaiju film ever made… would they be wrong? In addition to almost an hour long discussion on this 1970s gem of a film, we cover a 2500 Tons of Awesome news from the Godzillasphere. Want to read an entire article written about a single tweet? You shouldn’t! Curious as to why we won’t get Japanese live action Godzilla films until 2020? UK Listeners! Win a ticket to see Shin Godzilla in theaters! Win Shin Godzilla BluRay & Mini-poster from SciFi Japan! 9/8 – 9/10 ROSE CITY COMIC CON in Portland, OR w/no Japanese guests this year, but KAIJUCAST will be tabling with KODOJA! How can anything with a VHS cover this cool be so…. whatever it actually is. I don’t know much about Attack of the Supermonsters (1982), but I will be doing some digging on this film for the discussion! If you don’t already own this film, it has been put onto Youtube — that’s IF you want to subject yourself to this monstrosity. You’ll need to submit your homework before August 24th to be included in the discussion.